Our FINEST eleven rooms with custom décor, private baths, two queen beds per room, carpeted, with pre-made beds. Linens and towels are provided. Private bath, carpeted. Beds are pre-made. 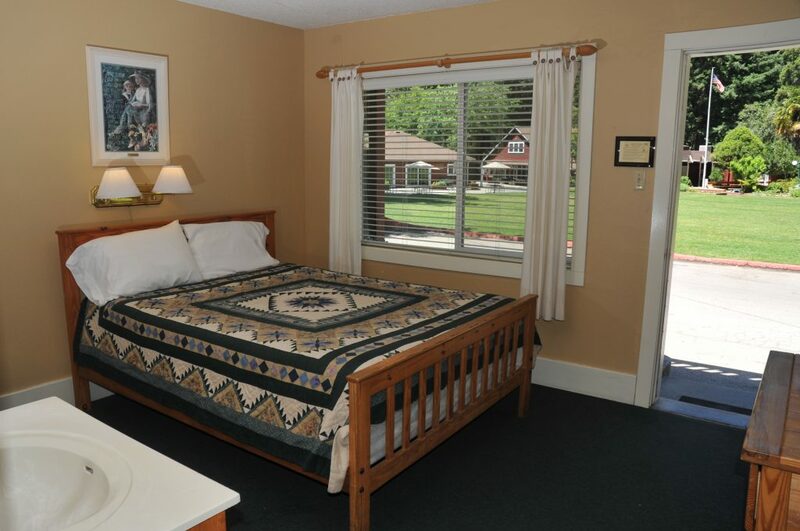 Laurel has 30 rooms, Wellander has 12 rooms, Frontier Lodge has 8 rooms, each with various combination of beds. Linens and towels provided. Fir, Pine, Oak, and Hemlock (Mission Woods) – These cabins have four rooms with a central bath. Each room has two sets of bunks (one with a double bed on the bottom) and a wash basin. 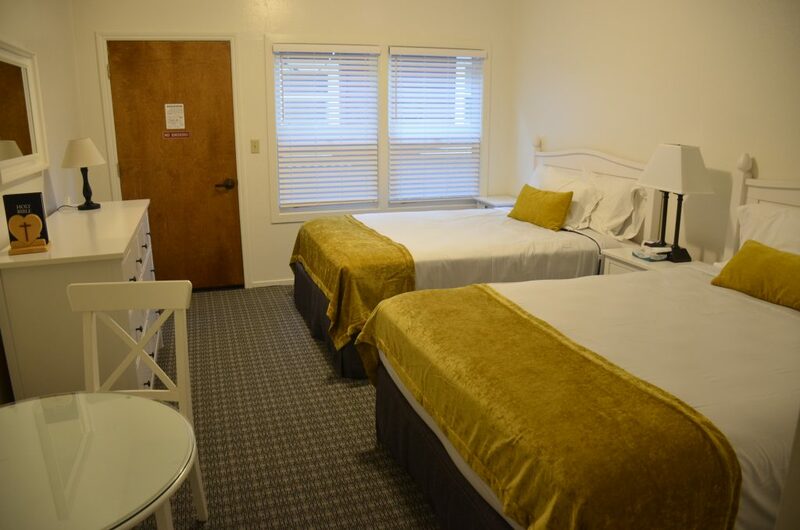 Beds are not made, however, linens and towels are provided. Sequoia – This cabin has three rooms with a central bath. 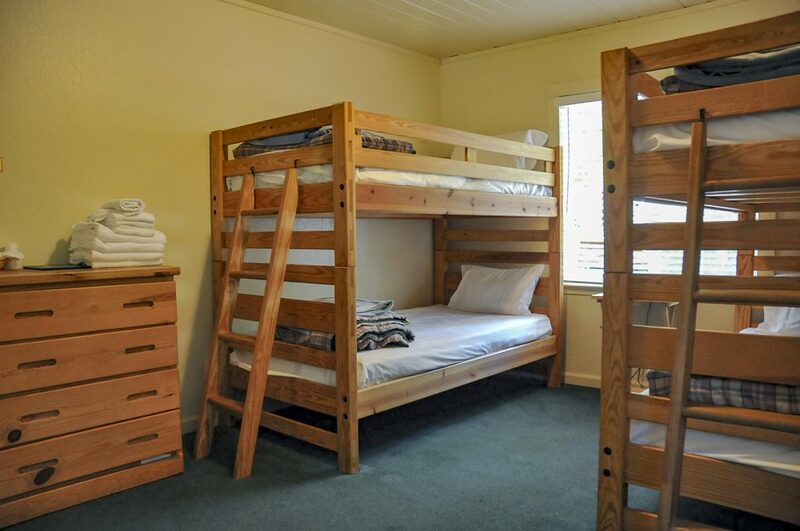 Each room has two sets of bunks (one with a double bed on the bottom). Beds are not made, however, linens and towels are provided. Cedar – has seven rooms and two central baths. 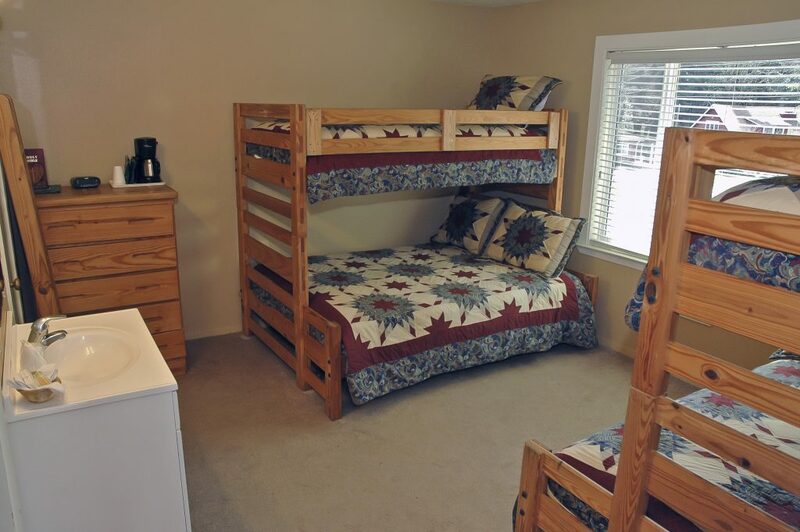 Number of beds per room varies with two to five twin beds per room, many of them bunk beds. Cedar has a total of 28 beds. Beds are not made, however, linens and towels are provided.